Artist/Author: Thorogood, Chris and Simon Hiscock. This is the first comprehensive identification guide to the Mediterranean flora of the Algarve region of southern Portugal. Including the Cape St. Vincent Peninsula National Park, an area of immense botanical importance with numerous endemic and rare species. 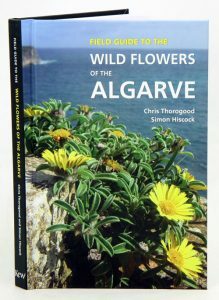 Receiving more than 7 million tourists per annum, the Algarve is one of the most popular holiday destinations in Europe, this guide is the essential companion for wildlife tourists, and the first comprehensive easy-to-use identification guide to its wild flowers. Information is provided on where and when to see plants with information on their habitat and vegetation types. In addition rare and unusual plants of the region are highlighted, including orchids and parasitic plants. With over 1,000 species descriptions, the book is abundantly illustrated throughout with over 650 stunning colour photographs, 780 line drawings and distribution maps. For more than a year, 69 of Europe’s best nature photographers travelled to all corners of Europe’s 48 countries to unveil the incredibly rich and amazingly varied natural heritage of the continent. Together they have contributed to a collection of more than 200,000 images of nature, many of which were published in the book Wild Wonders of Europe. As a follow-up to this popular book, Wild: The Trees and Forests of Europe pays tribute to the multi-hued beauty of trees. 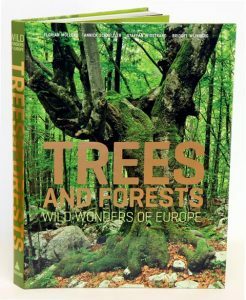 From close-ups of minute arboreal details to panoramas of epic proportions, this book lays bare the immense diversity of Europe’s forests. 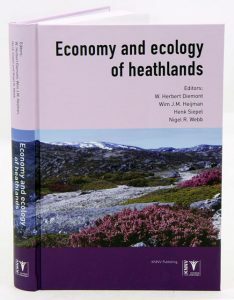 Organized by climate, each chapter surveys a different habitat and the resident trees, moving from the temperate rainy forests of Turkey and Georgia, to the dry and sun-filled woodlands of the Mediterranean, to the frostbitten terrain of Alpine regions. Artist/Author: Fielding, John and Nicholas Turland. NOT AVAILABLE. This is a celebration of an exceptionally rich, yet threatened flora. The largest island in the Greek archipelago, Crete’s enchanting landscapes range from rugged mountains to desert-like areas, coastal plains and ancient olive groves. Its extraordinary geological and climatic history has resulted in great plant diversity, with prehistoric links to Europe, Asia and North Africa. 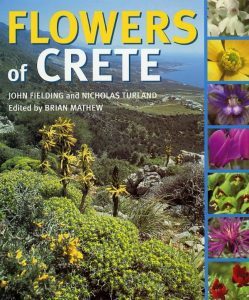 United by their love for the island’s plants, the authors and editor have produced a sumptuous and authoritative book, covering over 800 species, lavishly illustrated in colour. 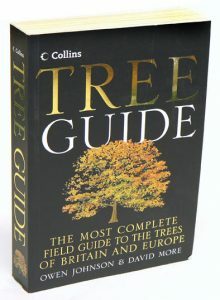 Collins tree guide: the most complete field guide to the trees of Britain and Europe. The definitive, fully-illustrated guide to the trees of Britain and non-Mediterranean Europe. This brand-new field guide to the trees of northern Europe contains some of the finest original tree illustrations ever produced. The introduction contains illustrations of the main leaves, buds, and firs you are likely to find, and these provide the starting point for identification by leading you to a ‘key’ species. Within each tree family there is a list of key species and a guide to the most important features to look for when identifying a particular tree from that family. Then individual species are clearly described and a detailed illustration is given on the same page. Covering all the tree species found outside the major arboretums, from the olive tree to the eucalyptus, this is one of the most important tree guides to have appeared in the last 20 years. The illustrations are annotated with essential identification features, and the text highlights the most important things to look for to aid fast and accurate identification. There is also coverage of all the species native to Southern Europe. Also available in hardcover [stock id 28326].